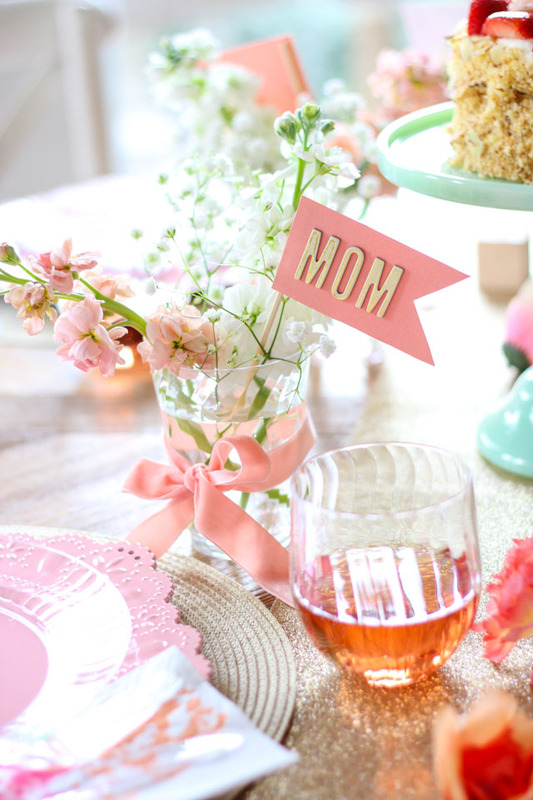 Mother’s Day is such a fun opportunity to pamper your mom and thank her for everything she does for you throughout the year. It’s also a chance to pay her back for all that cooking she did for you growing up! 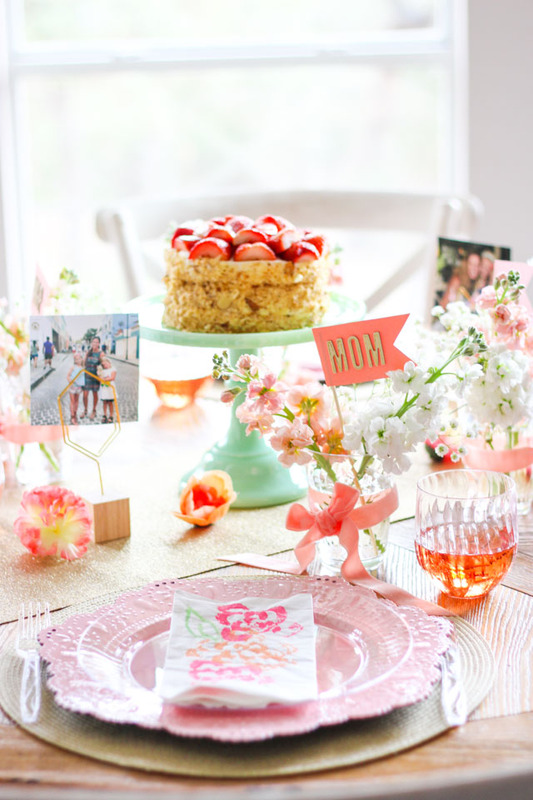 So this year, skip the restaurant and plan a special Mother’s Day brunch at home to celebrate the mothers and grandmothers in your life. 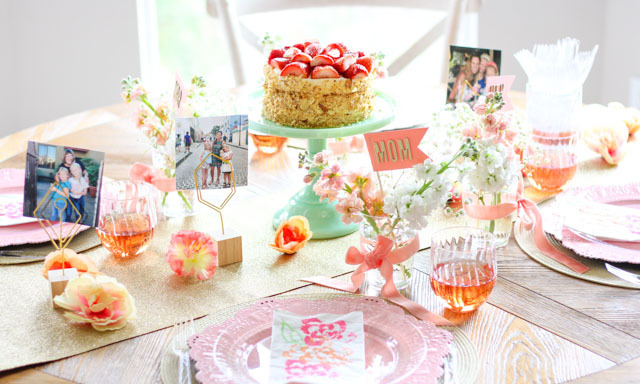 I’ve partnered with the Chinet® brand to create a floral-filled Mother’s Day table that will wow your guests of honor while being simple to pull together and clean up! The table décor may look fancy, but it is actually just a $15 mix of grocery store blooms and faux flowers from the dollar store. You can make a big impact without spending a lot of money or time. 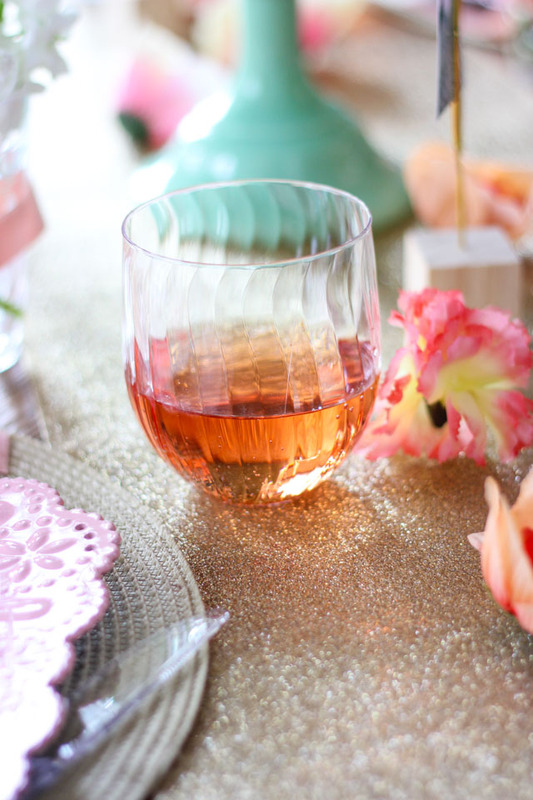 In addition to the flowers, I used Chinet® Cut Crystal® plates, cups, cutlery and wine glasses to create an elegant and coordinated look while being disposable, so you can spend more time together and less time doing the dishes! Because I love a few handmade touches when I entertain, I found a fun way to add a floral design to Chinet® Classic White™ dinner napkins by stamping them with celery. 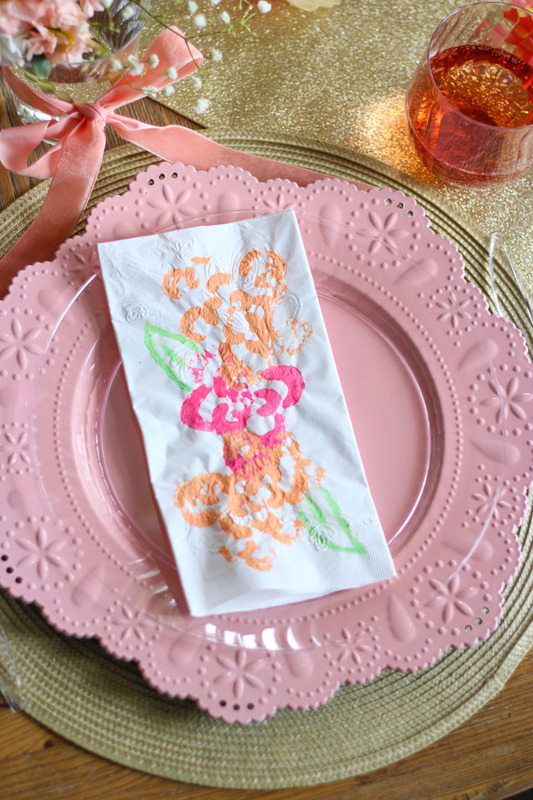 Check out the floral-stamped napkin tutorial to see how you can whip up a bunch of these in minutes! I also made mini bouquets for each guest. They serve as place cards during the meal, and are the perfect memento to take home. Check out my simple floral bouquet place card tutorial for a list of materials and steps to make these.